Find friendship, fun, and maybe a treasure or two at our Annual Yard Sale. Each year Women's Fellowship holds their annual yard sale to raise funds for projects they support in our church and our wider community. The sale often coincides with the Enfield Town-Wide Yard Sale or Enfield Old Home Days (the last full weekend in July) and is a fun and popular event for all ages. An announcement is placed in the bulletin with the date once it is determined and donations of treasures and finds are gratefully accepted. Volunteers are always welcome. Please contact Women's Fellowship for details. Can you help us sort and price items? Come to CLC and help out!!! It is fun!! Please be kind to our volunteers! Items should not be broken or missing pieces, etc. and be in a condition to sell and be clean. 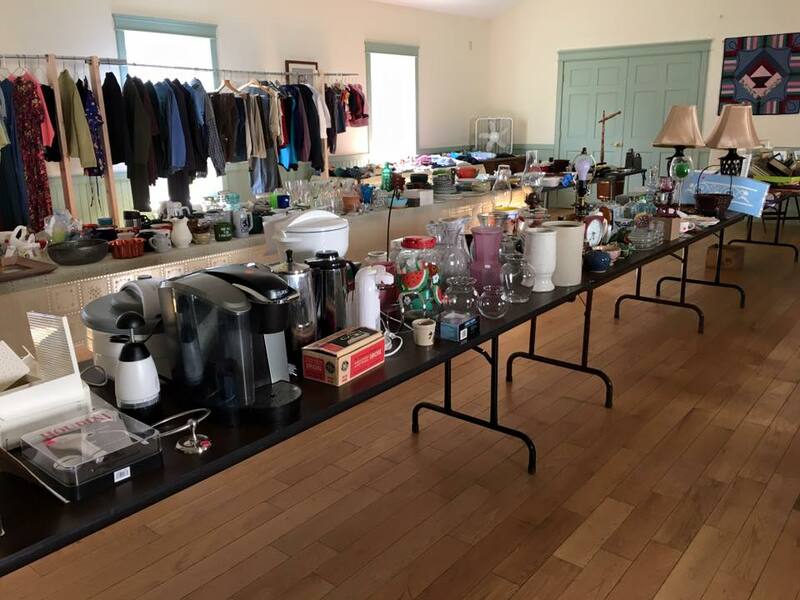 Because we are a one day sale and must have everything cleaned up and out of the Fellowship Hall at the end of the day, no clothing or electronics, appliances, etc. should be donated. We just do not have the capability to sell enough of these and do not want to have to pay to dispose of them. Large items should be brought on Friday or on the morning of the sale (July 28th from 8:30 pm to 2 pm), or make arrangements with us individually if this does not fit your schedule. If you have questions see Jane P., Susan C. or Donna G. HELP!! On Weds. July 25 we want to set up the tables and move our “stuff” to the Fellowship Hall from the preschool area. Can you help us for an hour or so???? Sunday services are broadcast live every week and saved in our archive. Don't miss out!